Party buses are the ideal way to travel. They have all the luxuries of a stretch limo with the additional, and exceptional, benefits of an on board restroom and enough room to stand up and walk around. Many party buses offer optional dancing poles and are perfect for those who want to party on the go. Limo buses have the same capacities as party buses with more of a luxurious limo feel. Party buses are perfect for seating up to forty-four party goers who want to have a great time with friends while exercising precaution and safety measures. An optional host or hostess will make sure you have everything you need to enjoy your time. Party buses offer amenities not usually offered in other limos such as smoke machines, strobe lights and back-up cameras. 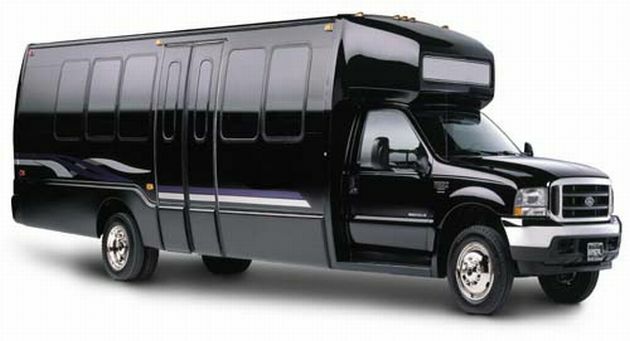 This makes them the perfect vehicle for proms, casino trips, weddings, bachelor and bachelorette parties and city tours. Party buses are also perfect for family vacations that involve sight seeing. Enjoy each other's company on the way to the sight and a safe night on the town, even enjoy a drink or two while your party bus chauffeur takes care of the road.